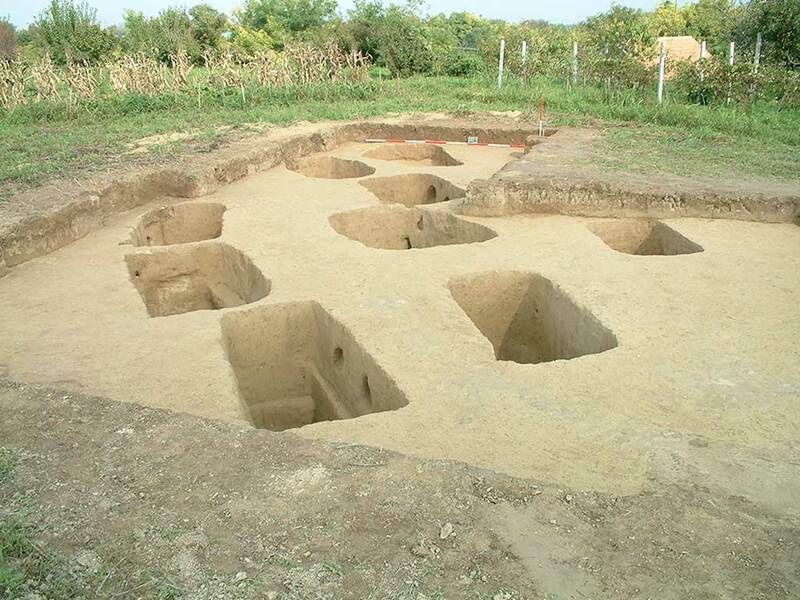 Archaeological excavations were conducted at Mocsolás from 1999 to 2008, exploring the largest Late Antique necropolis along the Croatian Limes thus far. Around 1,700 m2 were explored and 175 graves were found. The skeletal remains of the deceased were buried either in graves or brick tombs dug into the loess. So far, there are 168 documented graves and 17 tombs. There are many findings in 142 graves, such as, jewelry, toiletry, belts, different ceramic and glass vessels and coins. Anthropological analysis has shown that both men and women were buried in the necropolis, and there is also a large number of children buried. 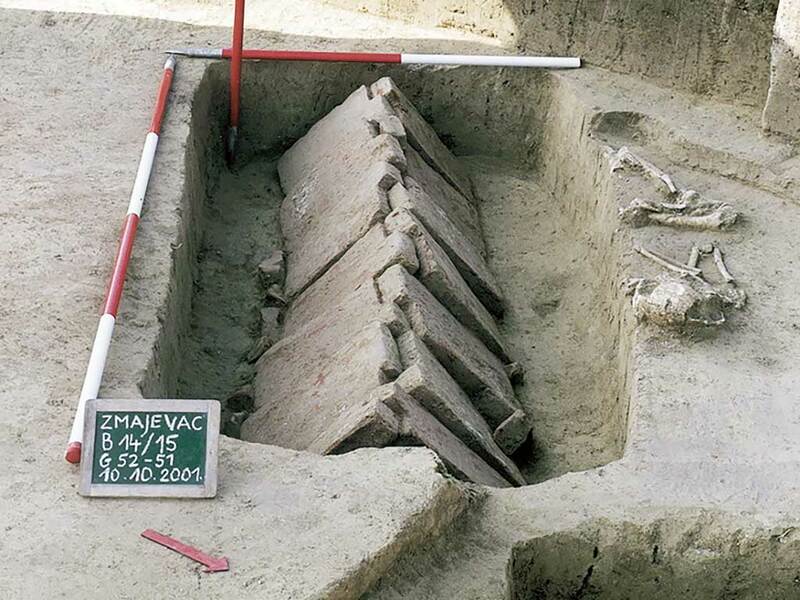 After many years of research, the results were presented at the Late Antique Necropolis in Zmajevac exhibition in 2010, organized by the Museum of Slavonia. Research was financed by the Croatian Ministry of Culture, Osijek-Baranja County and Museum of Slavonia in Osijek. The research was supervised by Slavica Filipović.